Braun has been always very sincere in providing the best product to their customers. The Braun Series 9 is a great example of their premium service. It is designed in such a way that you will get all in all service from this great shaver series. Probably this is the best product that Braun has ever produced. Each and every part of the Braun Series 9 Shaver is simply perfect. With some exciting features like cutting age technology and super flexible improved header this kit works like a sweetheart. It is designed for comfortable use and great look. You will be in love with this great kit by watching the finishing of this product. It’ll make your shaving enjoyable. The header consists of four cutting elements. Two trimmers and two foils confirm close shave without any complication. Braun has come up with sonic technology that can cope up with the density of the facial hairs. This shaver can move smoothly through a four day beard without any complication. It is flexible enough to thoroughly follow all the contours of the face. This shaver is extremely skin friendly. So you don’t need to be tensed about close shave. No matter how your facial contour is it will give you a clean and close shave effortlessly. As usual this shaver is very easy to use. 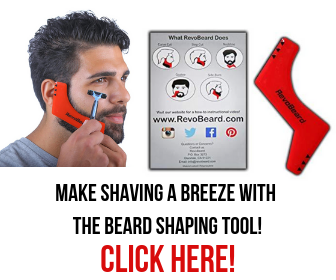 You don’t need to read the user manual to know about how you will shave with this shaver. It is very easy to operate. There is a big power button on the body of the shaver. Just press it and enjoy a close and clean shave. The shaver can work perfectly in any situation, whether it dry or wet. This best Braun shaver is especially created for those who don’t want to shave every day. Some people feel very uncomfortable and disturbed and don’t want to do this every day. This outstanding shaver is specially created to cut the 1 or 2 days old beard. This Braun Series 9 Shaver can easily handle the overgrown hairs. The other conventional shavers are not as strong as this Braun shaver is. So, those shavers face difficulties in shaving the over grown hairs. This shaver is quieter than any other similar shaver of the current market. It will never irritate you rather its smooth vibration makes your shaving enjoyable. It will make you calm, relaxed and satisfied as well. The Hyper-Lift technology is a great addition in this shaver. It can uplift the low lying hair and cut it from the root. The hairs from the neck and the chin are very difficult to cut, but this shaver makes this work very simple. You just need to move the trimmer and leave the rest to the Braun Series 9 Shaver. Some men have rough hair, some have curly hair and some have hairs which grow from different directions. 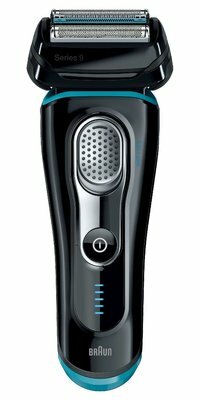 All the conventional shavers are unable to shave with perfect expertise, but this best electric shaver 2015 is something exceptionally effective which can easily take care of these multi-directed hairs. Philips and Braun are two big names in the shaving kit manufacturing industry and the current market is dominated by these two giant of shaving world. But it is hard to determine which one is the best because both of them have come out with a plenty of high quality features. Here we will compare Braun Series 9-9040s and the Philips S9721 9700 Shaver. The Main difference in design is on these shaver’s head. Braun shaver head is aligned in a classic way and the head and other elements can move freely in all directions. The Braun Series9 – 9040s and the best Philips shaver will give you two different shaving experiences. The Braun shaver is generally a wet shaver and you must move it up and down to get the maximum result. On the other hand, you must move the Philips shaver in a circular motion otherwise you stubble will remain on your face. There is only one complain regarding the Philips 9700 that it can’t work efficiently on the upper lip section which needs extra vigorous shaving. But some users have said that this shaver can work more efficiently after applying the shaving cream. Cleaning the Philips 9700 is far easier than any other shaver. You just need to keep the shaver under the tap. But it is not that easy to clean the shaver because there are a lot of hairs remain under the blades. Though the blade header can be removed it has come up with a cleaning dock, while Philips has no cleaning station. The Braun cleaning dock has come up with some great advantages. You can keep your shaving kit. The station will clean the shaver and make it hygienic and ready for the next use. This cleaning doc is also capable of charging the shaving kit. The performance of the battery of these two is excellent. The charge remains for one week without any farther charging. If you keep the kit in the cleaning station it will always be charged and ready to use. Finally, It is tough to tell which one is better because both of them are very good at shaving job. Both of this best e shaver has their own follower and fan that really enjoy the shaving with these outstanding kits. I personally suggest you to read Braun Series 9 9040s Review to get best one for you.